Our Products: 1873 Great Western II Revolvers > "Californian"
EMF's 1873 Great Western II "Californian" guns feature hammer forged steel barrels and frames that are drop forged and then CNC machined. Additionally, they have wider rear and larger front sights for faster sight acquisition. 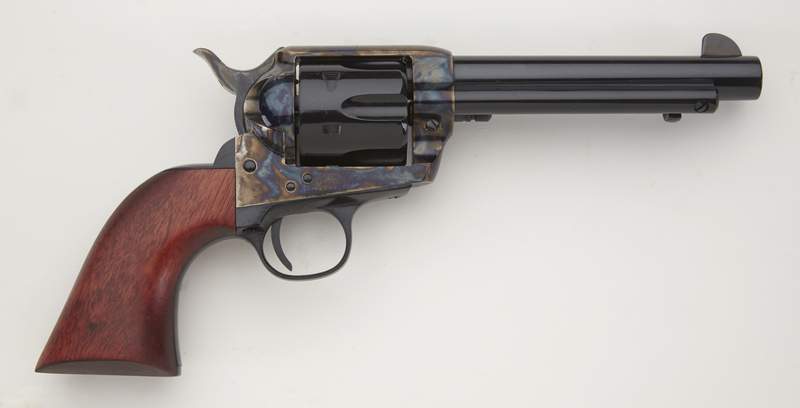 Just like the original Colts, these "period correct" revolvers have a floating firing pin in the hammer and casehardened frames. 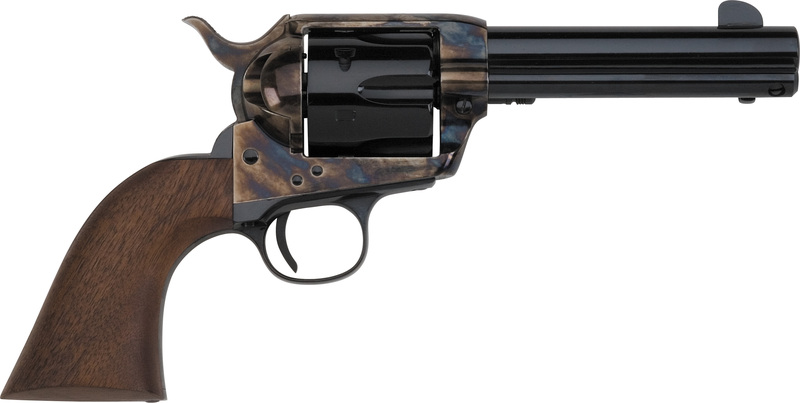 This combination of traditional aesthetics with the best modern technology makes the Great Western II the most sought after, durable and reliable single action revolver on the market. CALIFORNIAN, STANDARD GRIP, .357, 4 3/4"
CALIFORNIAN, STANDARD GRIP, .357, 5 1/2"
CALIFORNIAN, STANDARD GRIP, .357, 7 1/2"
CALIFORNIAN, STANDARD GRIP, 44/40, 4 3/4"
CALIFORNIAN, STANDARD GRIP, 44/40, 5 1/2"
CALIFORNIAN, STANDARD GRIP, 44/40, 7 1/2""
CALIFORNIAN, STANDARD GRIP, 45LC, 4 3/4"
CALIFORNIAN, STANDARD GRIP, 45LC, 5 1/2"
CALIFORNIAN, STANDARD GRIP, 45LC, 7 1/2"